For the family who gets to go here every year. For the family with young children. For the family who have all the time in the world. Well, more like it was the school holidays and this was the time we get to take many many days off. 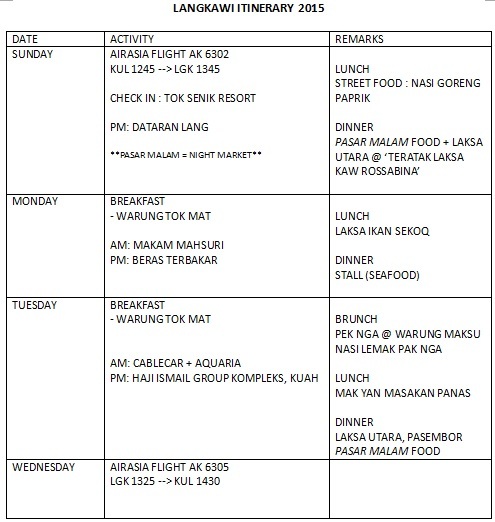 This is our itinerary for 2 adults. 1 kid. 1 baby. 5D4N in Langkawi. Departed from Melaka by car. Had breakfast at mamak and later brunch at Dunkin Doughnuts. Had minutes to spare at Mitsui Premium Outlet. Parked at Salak Tinggi Park & Ride. RM 5/night for overnight parking. We had to park under the sun though as the roofed ones are for apparently those with Season Cards. Lemme know if ‘m wrong. 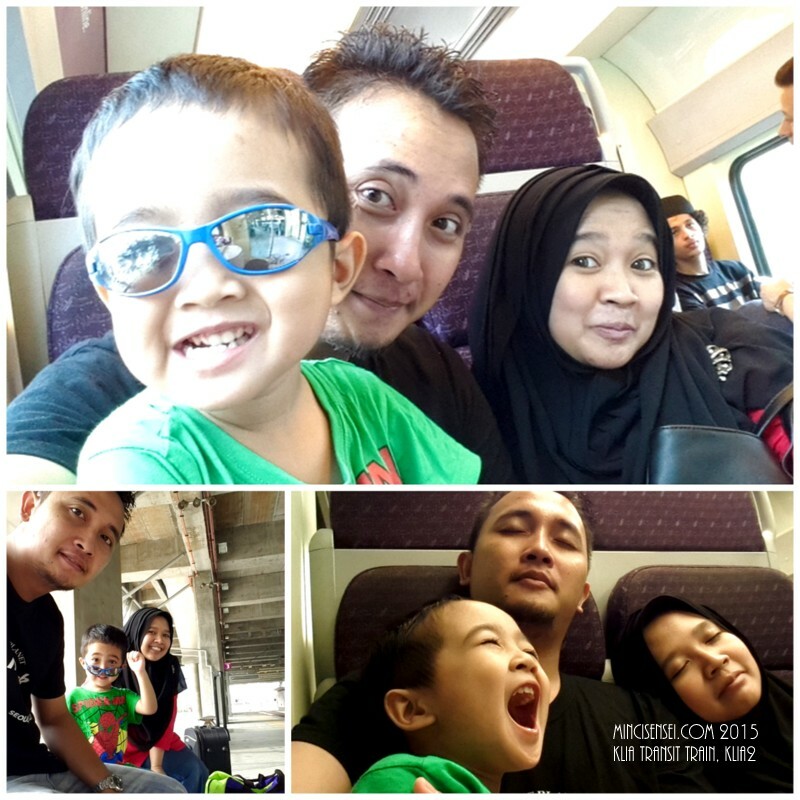 We then took the KLIA Transit train to KLIA2. Spent half a day at LAngkawi Geopark/ Cable car thingy. Lunch was Laksa Ikan Sekoq and rojak at the airport area. Spent half a day at an indoor park. Langkawi Wildlife Park. Lunch was Laksa Kaw (Rossabina) in front of the Padang Matsirat school. Later part of the afternoon, Mr Husband and EE went to the mall beside our hotel. It was a 52 seconds walk from the main entrance of our hotel to the mall. Evening – went to Dataran Lang but the sun was still strikingly blazing even though it was already 6PM. Rainy day. Did not get to stroll Pantai Cenang. So we went to again, The Underwater World. Lunch was LAksa Kaw again because it is that yummy. Checked out. Morning flight to KLIA2. This is not the best itinerary around. 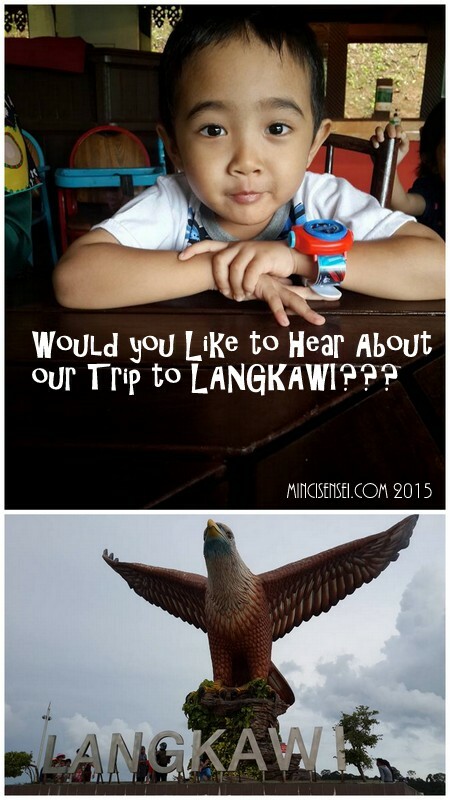 But I hope to offer a different perspective to anybody’s visit to Langkawi be it for the first time or god knows the 20th time throughout your entire life. The last time we went here as a family was less than 4 years ago, so we did skip the island-hopping trips and most of the tourist-y stuff this year. Instead, we took a more relaxing approach to our trip and enjoyed more of the gastronomic experience in Langkawi. As usual, with AirAsia “everyone can fly” and we booked our tickets through the website 6 weeks prior to the trip on AirAsiaGo.Com. The total payment for our return tickets (4 adults, 2 kids) from KLIA2 to Langkawi including the hotel stay at Tok Senik Resort for 4D3N amounts up to RM 1519.08. I will be sharing in my next posts about our experiences at the resort and of course our very little activities in Langkawi. Here is a brief outline of the trip. Like any other trips via KLIA2, we would park our car at Putrajaya Sentral first before then taking the KLIA TRANSIT train to the airport. Putrajaya Sentral offers good overnight parking rates for a maximum of 14 days. This is not only a convenient way to start our travels but also comfortable. However if you intend to hog along a lot of luggage with you, especially after shopping at your holiday destination- using this mode of transportation is not advisable. Hope this kickstarts things. Next I’ll tell you about the Tok Senik resort.